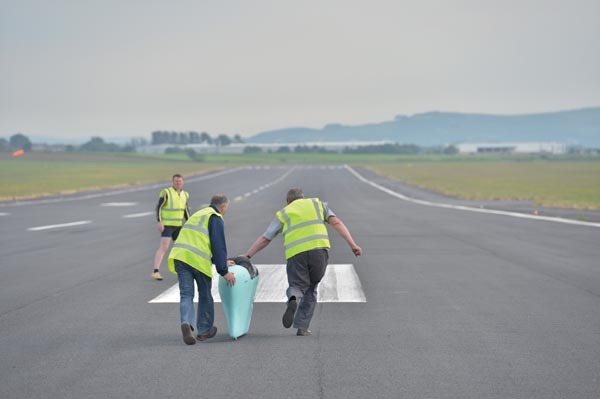 Graeme Obree has taken his human powered vehicle (HPV) world speed record attempt one step further with a test at Prestwick Airport, near Glasgow. 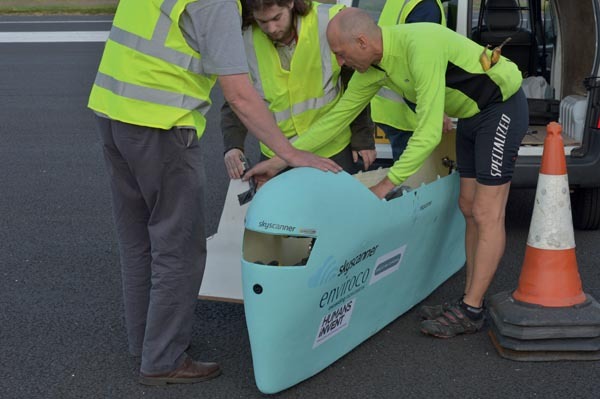 Obree’s self-made machine for the attempt – nicknamed ‘Beastie’ – is now in the final stages of completion. 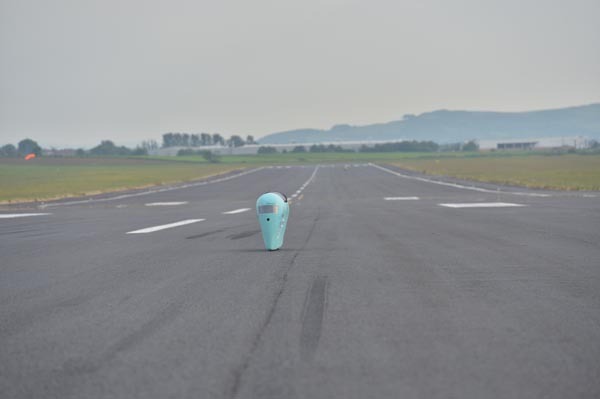 Gone is the old transparent fairing, replaced with a sleek fibreglass and Kevlar outer skin painted in light blue. 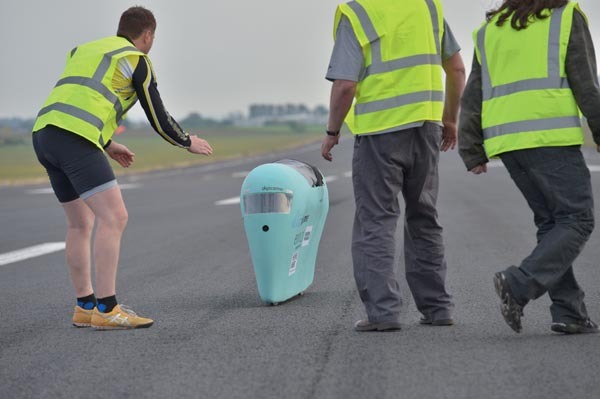 One of the problems with the previous, all-enclosed design was that Obree struggled to breathe in enough air. 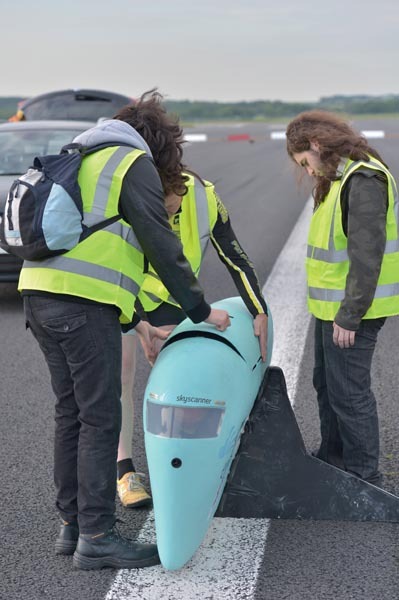 A typical Obree solution has been found – a small air intake has been added to the nose of the fairing connected to a sink waste pipe, which Obree places in his mouth via an attached snorkel mouthpiece. 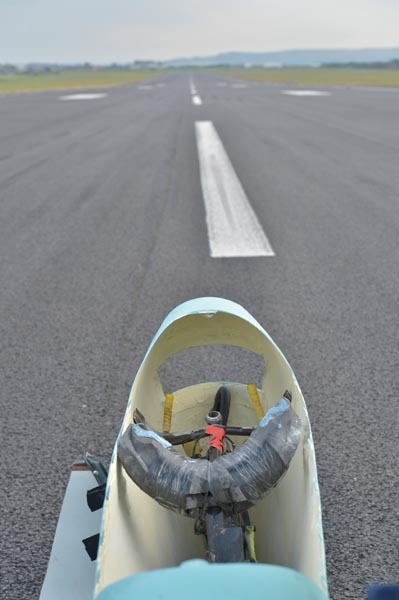 The Prestwick Airport test run saw Obree push up to speeds of around 50mph in a cross-headwind and without the top section of the fairing. This is already not far short of the British HPV speed record of 63mph. 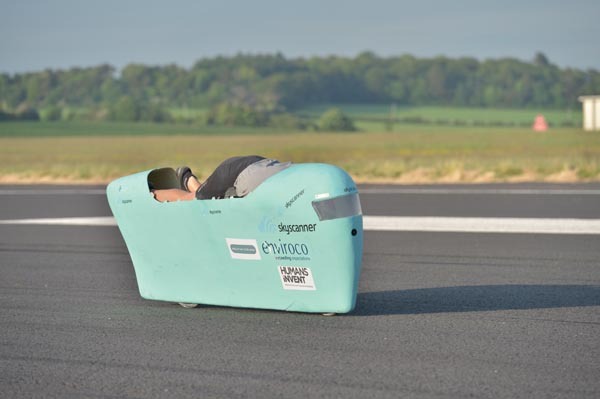 The current world record stands at 82.819mph clocked by Sam Whittingham at Battle Mountain, Nevada, USA in 2009. 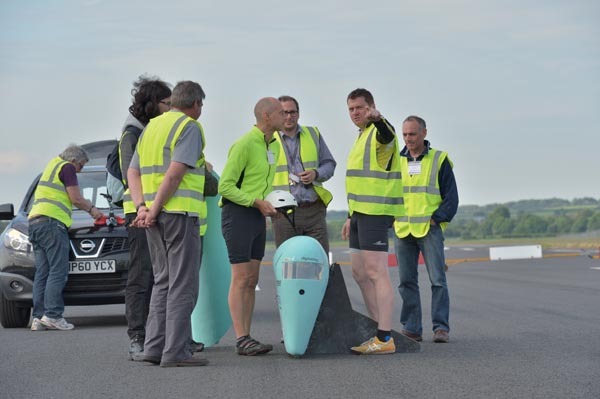 Further tweaks will be made by Obree to his design, with more testing over the next few months before a date is set for the record attempt.